Select which chapter your are interested in joining. Hosted by National Executive Council, the reception will be located in downtown Chicago. We are celebrating the progression of the chapter as a whole, and individual accomplishments from each chapter. Survival of the fittest. Will technique prevail over strength? 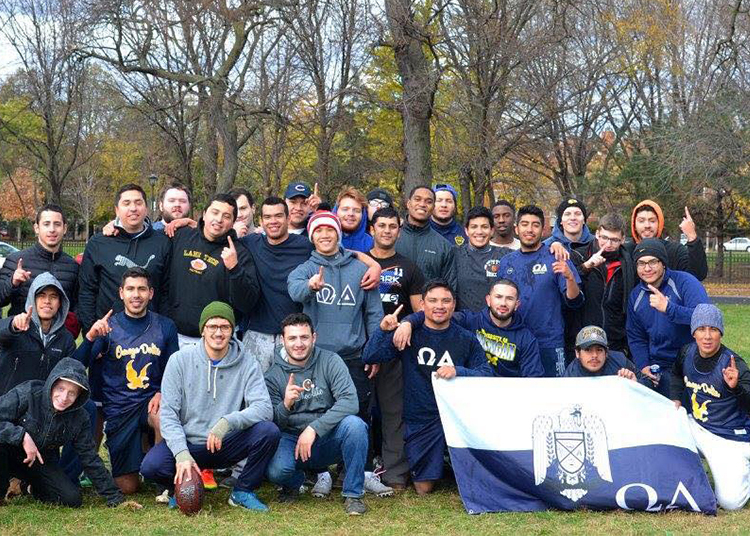 The top chapter will rise to the top in this head-to-head outdoor football tournament encompassing all-chapters. Omega Delta is a brotherhood that lasts forever. Wherever you are there will always be a network of members with similar interests. We are a community that is constantly growing. We never settle for less. Every member has the potential for greatness. Your biggest obstacle is not accomplishing great things, but realizing that you have the potential to do them. Members of Omega Delta are leaders of the pack. At a concert or interview our confidence is prominent. The perfect balance of social and academic life is a necessity. We are here to help you succeed. Ultimately, this will lead to living a happier, stress-free life.